Love my PINK dopestrap! They definitely make me feel more secure when holding a bong. Such a great investment to keep from breaking glass! I love my dopestrap, I will never smoke again without one!!!!! Have had my dopestrap for 10 months and I've used and abused the thing, and not once noticeable sign of damage to the unit itself other than discolouration from having it on my strong silicone bong. I love this product and stand by it 100%, absolutely a win in terms of innovation recommended these to all my friends. If you care about your glass you need one of these or 3 in your life! Excellent price point but easily worth twice that for what you're getting! Dopestrap has to be the best investment in protection for your glass pieces!!! It stretchs to fit almost any piece and is made to fit comfortably for hours!!! If you don't have a dopestrap get one! You will thank yourself later. This has been one of the nicest additions to my daily drivers. Amazing for grip when cleaning which is a must for me. I have broke many pieces over my sink in the past. I also really enjoy the easy of mind I get when a guest is using it and I can know they have a good grip with my glass. This is a must have and their customer support is top notch. Tell them I sent you, lol. I found DopeStrap on Instagram and was super excited about the idea but skeptical that it would work as described. My worries were for nothing though because the DopeStrap is amazing! They use high quality materials that grip your glass pieces tightly - I can literally shake my bong around my the DopeStrap and while the water might splash a bit the DopeStrap will not come off! I use it all the time to keep my bong secure while I'm smoking, I've used it as a handle to catch it from falling over, and when I'm cleaning it's the perfect thing to hold on to so my hands don't slip. Just recently got another DopeStrap & I don't even have another bong to put it on, I just love the brand & concept! Plus the price is so reasonable, there's no reason not to get one! i have to say one of my best 420 related purchases i have bought in a hella long time… simple idea yet such a life saver! The Guys at dopestrap are awesome folks! Definitely worth the low low cost to protect your valuable glass and heady pieces! 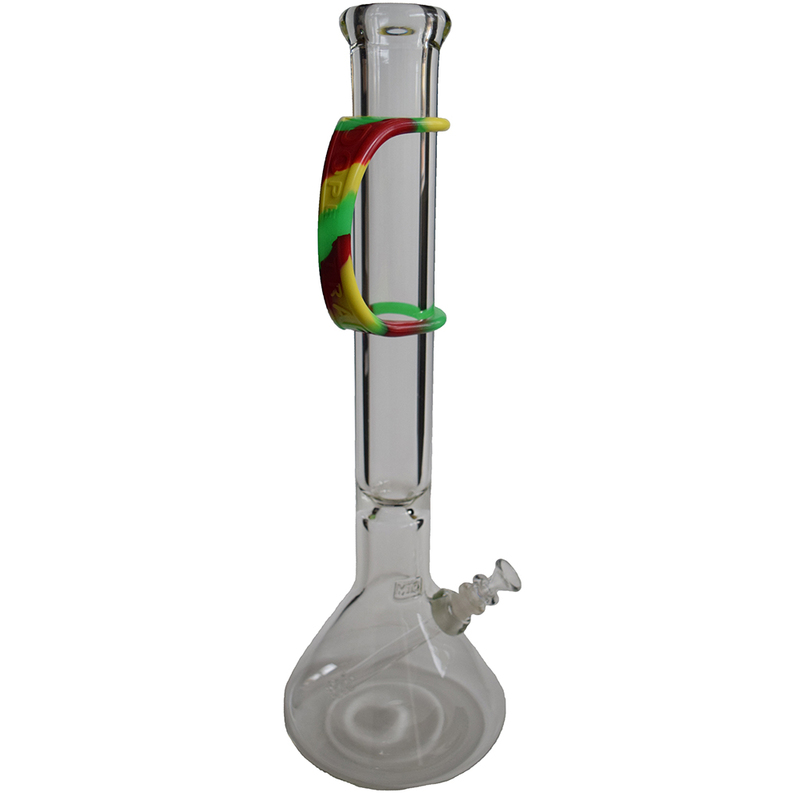 DOPESTRAP is the one and only way to use your bong from now on. Our patented hand strap will be your beautiful investment’s new best friend. The DOPESTRAP is made from high quality platinum cured silicone that is resistant to most all chemicals, high heat, water, and definitely abuse. Let DOPESTRAP save your glass once and for all! 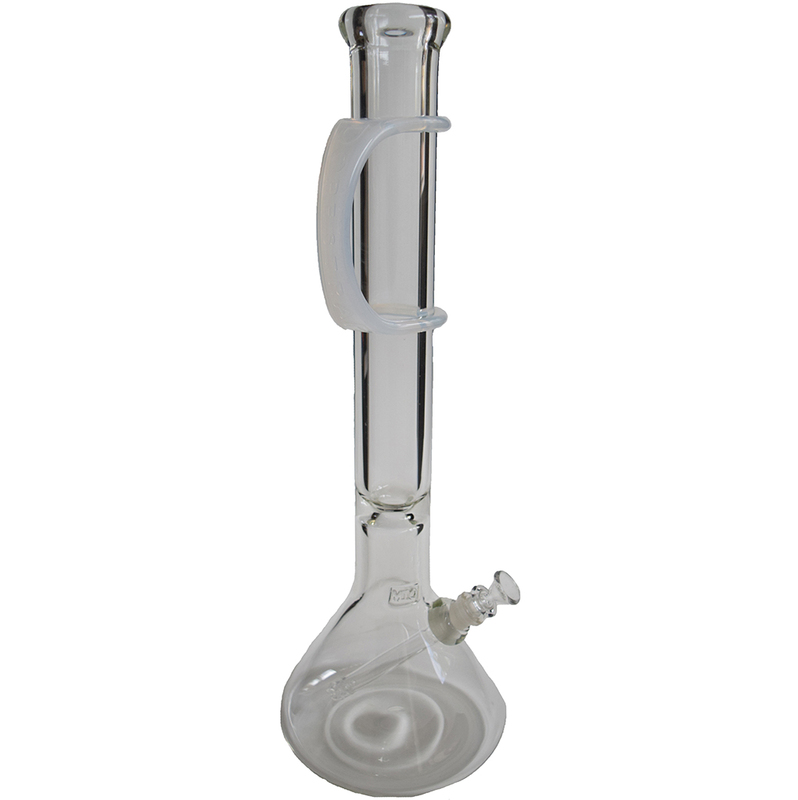 Its super strong universal fit makes it the best bong handle you could ever imagine.